We are throwing it back a couple seasons for this one! This fall wedding inspirations is the absolute magic dreams are made of. 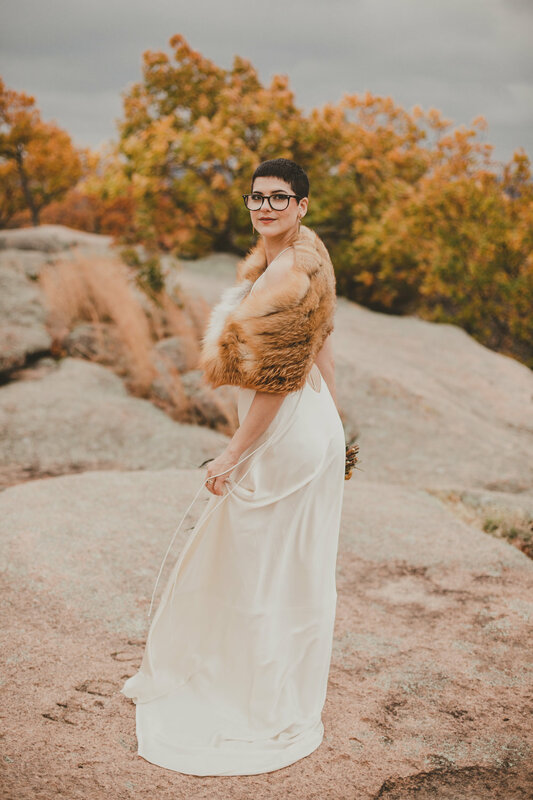 This styled shoot was a collaboration between us and the amazing Pattingale Photography. The backdrop of the stunning turning fall leaves, and the amazing landscape of Elephant Rock State Park. The satin slip dress from Watters was the perfect compliment. We absolutely loved working with this vendor, and we think you will too!